BYD Company Ltd. has officially announced their much anticipated Dual Mode Electric SUV, the Tang, will become available for pre-order on January 21, 2015 for the anticipated price of 300,000 RMB (before EV incentives) - USD$48,360. The announcement took place at BYD’s Annual International Auto Innovator Conference in Shenzhen. Demand for the BYD Tang is said to be incredibly high after BYD saw record EV sales in 2014 with the BYD Qin now topping the World’s Best Selling EV charts (presently in 5th place in PHEV sales). The BYD Tang is expected to quickly surpass the BYD Qin’s monthly sales figures as China has waited a long time for a PHEV Sport Utility Vehicle. 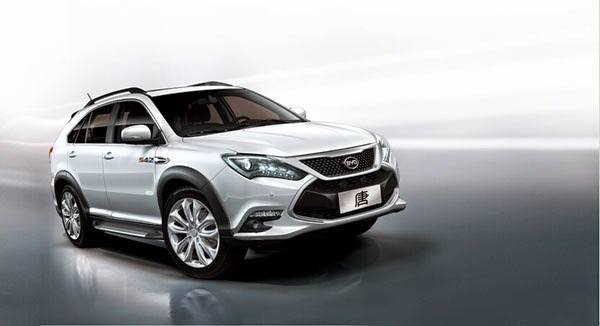 The “BYD Song”, a mid-size SUV along with the “BYD Yuan”, a compact SUV will both cater to China’s insatiable demand for Sport Utility Vehicles, and when powered by BYD’s industry leading 5-4-2 platform are set to redefine limitations of current PHEVs and SUVs alike.